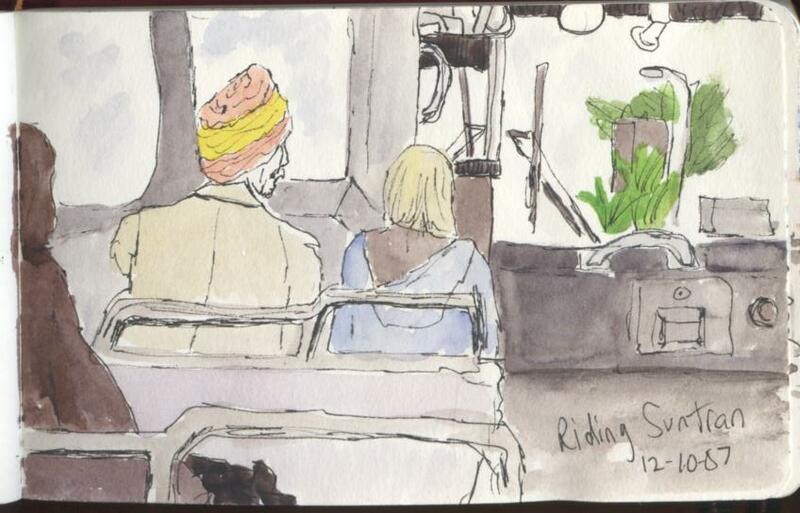 My van door (the side sliding door) broke on me, so I took it in to the shop…which meant riding the Sun Tran bus…perfect opportunity to do some sketching. 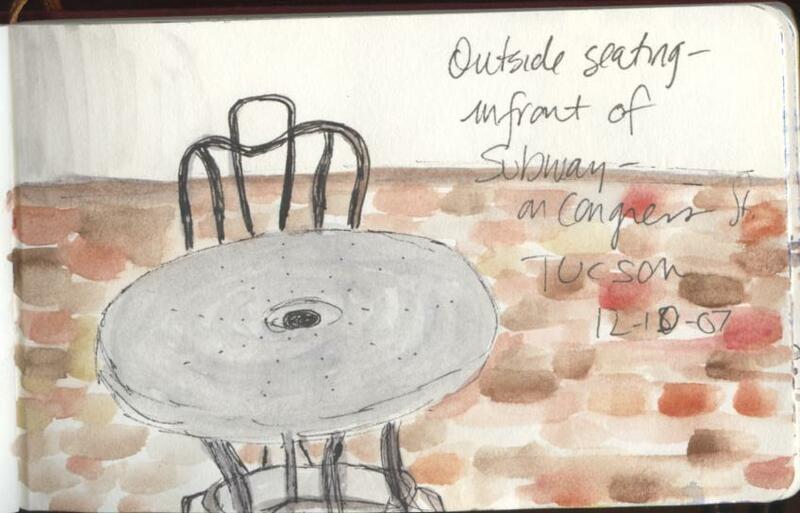 another subway sketch…the table and chair set outside for al fresco dining. 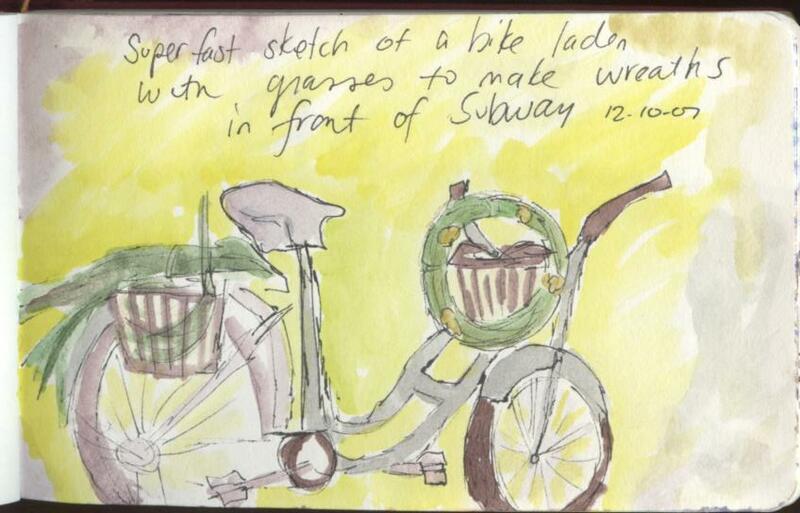 It was too cold and rainy, so I stayed inside to sketch and eat. 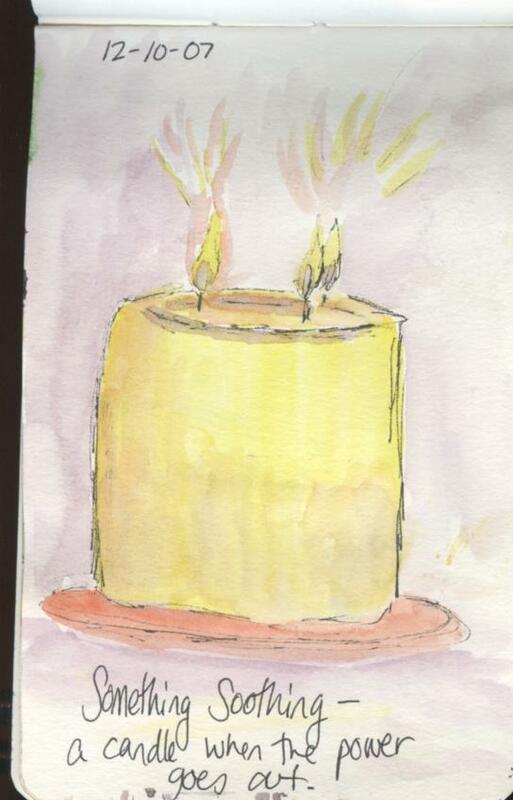 EDM challenge, something soothing: a candle when the power goes out…very soothing! >These are fabulous, I love the top one. 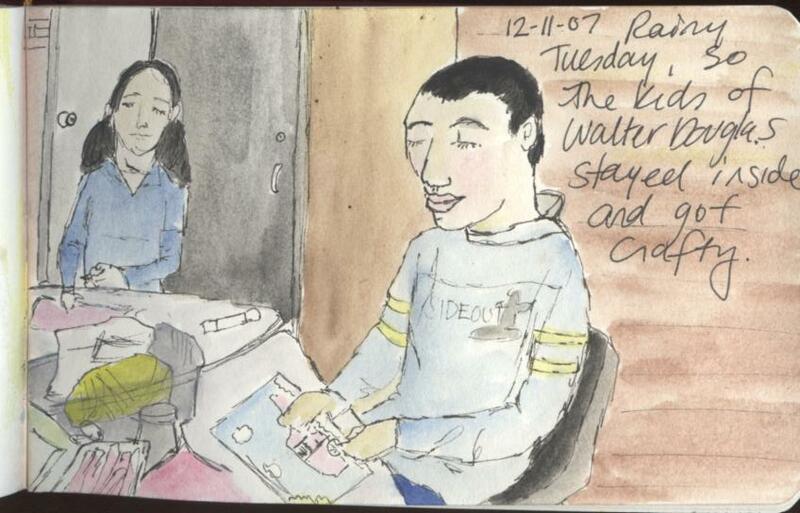 >I always love looking at your sketches, Alanna – it’s like following you around all day.